A latest beauty treatment is the usage of snail slime to beautify skin. 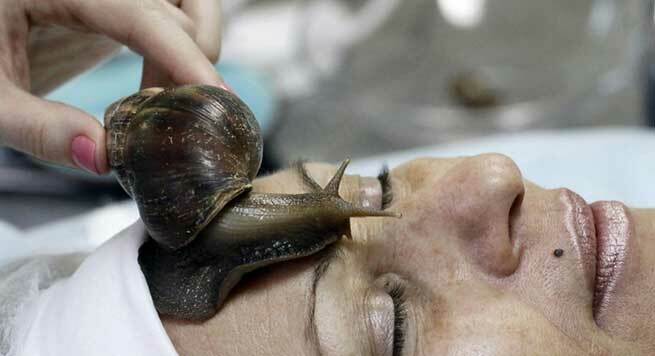 Having live snails crawl across your face sounds nothing more than a nightmare. However, a beauty salon in the Siberian city of Krasnoyarsk has been using them to conduct the Siberian snail facial to rejuvenate skin. It is believed that this massage method helps regeneration of the skin and eliminates ageing and scars. The beauty properties of snails are dated back to Ancient Greeks when a mixture of crushed snails and milk was applied to sooth inflamed and damaged skin. Nowadays, many leading cosmetic brands have included snail slime in their product ranges. In fact, many anti ageing creams and lotions contain essence of escargot. In 2006, farmers in Chile noticed smoother skin after handling snails. It is believed snail excretions are rich in protein, glycolic acid, hyaluronic acid, antibiotics, collagen and elastin and are physically intended to defend snail skin from infections, bacteria, UV rays and other tissue damage. Using the same theory, it is believed that snail discharge protects facial skin from acne, scars, bacteria, cuts, and harmful sun UV rays. It also helps maintain skin moisture and act as an exfoliate to help eliminate dead skin cells and regenerate healthy and smooth skin. Moreover, the treatment ensures the spa visitors to feel relaxed and refreshed at the end of the facial. The treatment lasts about an hour. After careful cleansing of the face the therapist positions live African mollusks of different sizes on the face and allow them to freely crawl around. Their soft relaxing movements across your face help to rejuvenate the skin. This is followed with manual massages, masks and electrical micro – current stimulation machines (to open cell pathways so as to penetrate deeper) and lotions that also contain snail excretion in them. The snails used in the process are quiet expensive to buy and maintain as they are not taken away from just any garden. Rather they are bought from clean organic farms and are fed a very healthy vegetable diet to keep them fresh and healthy. 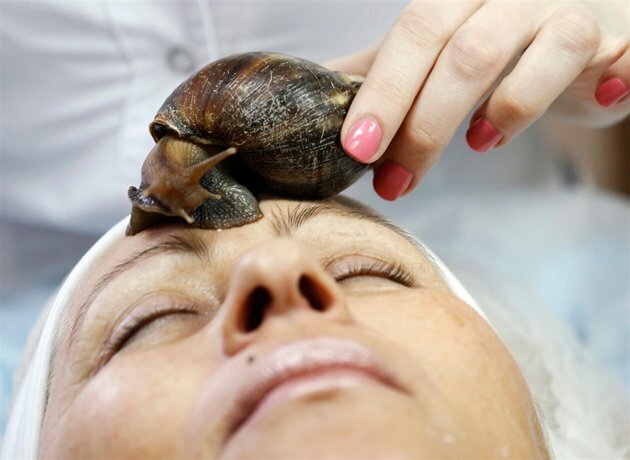 The Siberian snail facial is surely gaining popularity in the beauty world with many women shelling out lots of money to give the treatment a chance. However, experts have still not confirmed the effectiveness of snail slime as according to them it does not do anything more special than enriched moisturizer and lotions.